Andre Braugher’s last TV show, Last Resort, was a ratings disappointment and was cancelled by ABC. Will he have any better luck with Brooklyn Nine-Nine, the new FOX sitcom? A big hit or quickly cancelled? Is it worth watching? 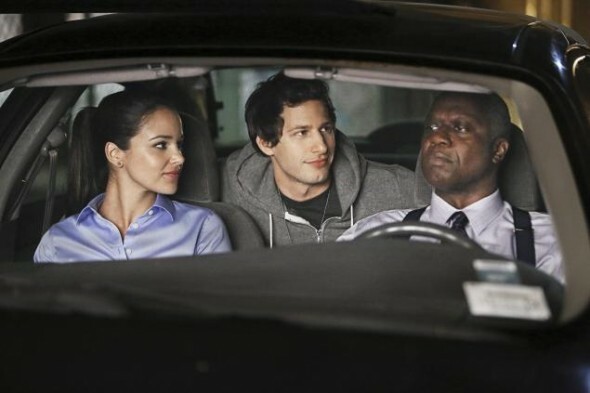 On Brooklyn Nine-Nine, Detective Jake Peralta (Andy Samberg) is an oustanding detective so, as a result, he’s always been given a lot of leeway. That all changes when the precinct gets a new, by-the-book captain (Braugher). The show also features the talents of Melissa Fumero, Terry Crews, Stephanie Beatriz, Chelsea Peretti, and Joe Lo Truglio. What do you think? Do you plan on watching Brooklyn Nine-Nine on FOX? If you’ve already watched it, will you watch again? Would you recommend it? Silly and predictable. Was hoping for better. Criminal Minds is in a totally different category from this show. Not sure you can compare apples to oranges. I thought the show so far was decent. Looking forward to seeing more. Loved Andre Braugher on House. I understand, but part of my response was do to what I was replying to. But on the other hand he could pull of a character on the show as he was a hard line but honorable cop on Homicide and you would have to be to do that kind of work on Criminal Minds. I thought it had promise. The ensemble cast worked well together and they have a rapport. The main detective was a little too juvenile, but that was the point and we will see him grow. I didn’t get a chance to see it but sorry to hear a negative review. I have been a fan of Andre Braugher since his “Homicide” days, and I wish he could find another show that clicks for him. Maybe he should transfer over to Criminal Minds! I watched Brooklyn Nine-Nine tonight. Not sure if I will watch again. It was pretty stupid. Wish I had watched Criminal Minds instead. I watched this too and not sure if I will watch it again. I found it very stupid and I love Andre Braugher but I thought this was beneath him. Anyways, all the new seasons of my favorite shows start next week and can only record 2 on Dish DVR so may not be able to watch this again.